United ramp workers chose Machinists over the Teamsters, who had represented ramp workers at Continental. CHICAGO TheStreet) -- The International Association of Machinists has won a union election enabling it to represent about 14,000 fleet service workers at United ( UAL - Get Report). Of the 11,122 workers who voted, 5,572 or 50% voted for the IAM, while 5,269 or 47% voted for the International Brotherhood of Teamsters and 287 voted for no union. A total of 14,039 workers was eligible to vote. The election, conducted by the National Mediation Board, was one of several to establish union jurisdiction following the merger of United and Continental. Before the merger, the Teamsters represented 7,300 ramp/fleet service workers at Continental, while the Machinists represented about 6,800 ramp/fleet service workers at United. In June, the combined airline's flight attendants selected the Association of Flight Attendants to represent them. The AFA had represented United flight attendants, while the IAM had represented Continental flight attendants. In the fleet service election, the IAM won "by utilizing an extensive network of highly energized organizers from all three carriers," said IAM General Vice President Robert Roach, Jr., in a prepared statement. IAM District 141 President Rich Delaney added, "Ramp employees chose the IAM because of the superior representation, compensation, benefits and job security we negotiate into our contracts." 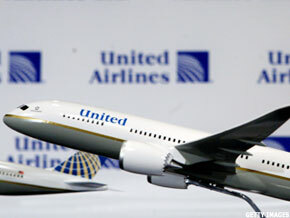 The IAM said the victory was partially due to a section of the United contract that provided job security, while the Continental contract had allowed some outsourcing.